LEARN, GROW AND THRIVE WITH A CAREER AT THE Y! Imagine going to work knowing that what you do each day positively affects the lives of the people in our community. Imagine having the opportunity to give back to your community, to share your passions and unique talents and to build a better future for yourself and others. This is what it means to work at the Y. Why work for the Y? Join us in the amazing work we get to do throughout the Bath area. APPLY TODAY! Part Time (Year Round) - NOW HIRING! Position Summary: Responsible for cleaning and sanitizing assigned areas including classrooms, restrooms, fitness, pool, and common areas. Duties regularly involve mopping, dusting, vacuuming, trash and recycling removal, window washing, and refilling of supplies, paper products, soap dispensers, etc. Related tasks may also include reporting/recording maintenance requests, meeting or function set up, snow removal and/or grounds-keeping, among other responsibilities. A basic knowledge of cleaning procedures and equipment, cleaning chemicals, and their safe efficient use, or the willingness to learn). Physical Demands: Sufficient physical strength and agility to carry out essential duties, to repeatedly lift 25 lb. throughout a shift, the ability to erect and stand on ladders and platforms at heights up to 6 feet, the ability to work with cleaning equipment, chemicals, and solutions in dry, liquid, powder, spray, and aerosol forms, and the ability to work in conditions that will create dirt and dust, the ability to perform tasks essential to cleaning/maintenance to facility or equipment which may involve, but not limited to the following activities: semi–reaching to full-reach overhead, crouching, kneeling, carrying, pushing, pulling, twisting of the waist, shoulders, and legs. Hours: Night Cleaning M-F, 8-11 p.m., Saturdays 4-8 p.m., Sundays, 3-6 p.m. Somewhat flexible. Pay: Starting at $11/hour (experience depending), 6-20 hours a week. To Apply: Return a filled out application and/or a resume to The Bath Area Family YMCA, 303 Centre St., Bath, ME 04530. Please feel free to email Facilities Director Scott Amundsen (scott@bathymca.org) or call 443-4112 x22 for more information. Position Summary: Reporting to the Youth and Family Director, the Site Director oversees daily operation of the before and after school site while implementing the YMCA mission to meet the needs of area families. The Site Director will work with the Group Leader(s) to develop and support the educational and emotional well-being of each child in the program. The Site Director will ensure that a safe and enriching environment is provided for all program participants. Credential. Child Development Associate (CDA) as awarded by the CDA National Credentialing Program. Experience. Six (6) months experience working in a Child Care Facility licensed for 13 or more children. College credits. One year (30 credit hours) of college work including a course in a child related subject. 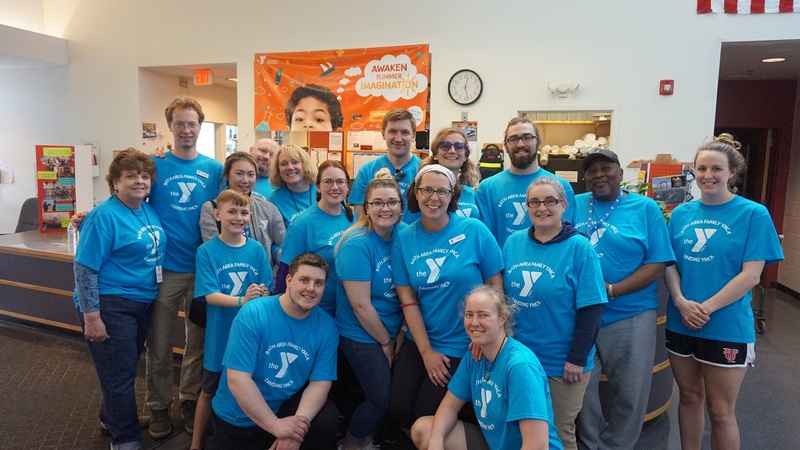 To Apply: Send resume to The Bath Area Family YMCA, 303 Centre St., Bath, ME 04530 or email Lorrie Cardwell-Panfil (lorrie@bathymca.org) or call 443-4112 x36. Position Summary: Candidates must be 15 years or older. Lifeguard certification preferred, however we are will to train and certify the right candidate. To Apply: Send resume to The Bath Area Family YMCA, 303 Centre St., Bath, ME 04530. Email Aquatics Director Andrea Moskevitz (andrea@bathymca.org) or call 443-4112 x42. Position Summary: Candidates must be 15 years or older. Swim instructor certification preferred, however we are will to train and certify the right candidate. To Apply: Send resume to The Bath Area Family YMCA, 303 Centre St., Bath, ME 04530. Email Aquatics Director Andrea Moskevtiz (andrea@bathymca.org) or call 443-4112 x42. Part Time (Seasonal) - NOW HIRING! The Camp Counselor aids in supervising and effectively leading a group of campers in daily camp activities. Camp Counselors provide a safe and nurturing environment for campers and are actively involved and have a positive attitude about all camp activities. Provide opportunities for the group so that each individual experience success. Respond to and provide opportunities for discussion of individual or group problems and concerns. Assist each camper with meeting personal goals and those established by the camp for camper development. Follow established procedures for supervising camper health and enforcing all safety regulations. Maintain health, safety, cleanliness in program areas. Identify and report any potential risks. Follow established health and safety standards of the YMCA, and Dept. of Public Health. Plan activities with other counselors and campers as appropriate. Supervise all aspects of the camper’s day including i.e. before assembly, assembly, morning and afternoon activities, pool and locker rooms, lunch, and special events. Take attendance throughout the day. Teach and assist in morning and afternoon periods as assigned. Support activity specialists when attending activities with one’s group. At the pool, change into appropriate swim attire and check in with Lifeguards. Assist in the pool with swim lessons daily. Participate in all programs, special events, family nights, and other events as assigned. Handle disciplinary issues in a fair and consistent manner. Actively participate in staff training, meetings, etc. Help out with all camp activities and participate as a member of the camp staff team. Demonstrate/teach the values of caring, honesty, respect, and responsibility to all campers and staff. Follow all camp rules, regulations and policies and enforce them among peers. Maintain positive public relations with parents, visitors, and the general public at all times. Able to visually and audibly identify and respond to environmental and other hazards related to assigned activities. Capable to respond appropriately to emergencies and situations requiring first aid and/or CPR (Training will be included in staff orientation). Submit all required paperwork on time. Hear noises and work in fast paced environment that requires patience, focus and diligence. Meet strength and lifting requirements of 25 lbs. or fill out an application at the front desk. Volunteers are an important part of the Bath Area Family YMCA. 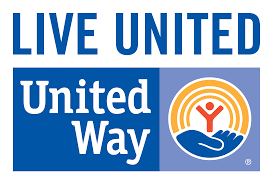 They participate in every aspect of Association work from developing policy and programs to coaching teams, timing at swim meets, assisting with child care, facilities maintenance, landscaping, and helping with special events. Volunteers are an important link to the community, giving feedback and improving services. We have many volunteer opportunities available to suit most schedules. If you have questions about volunteering at the, you can contact Caroline Kurrus at 443-4112 x19 or email her for more details.